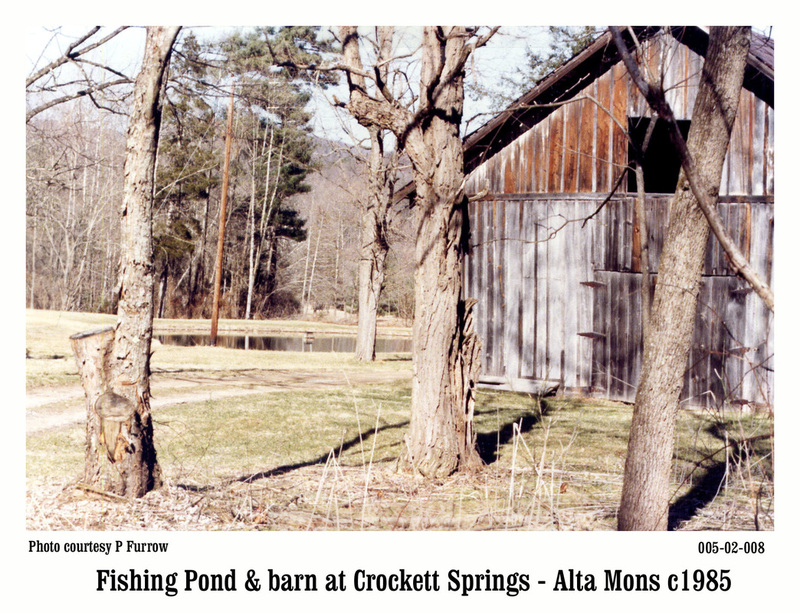 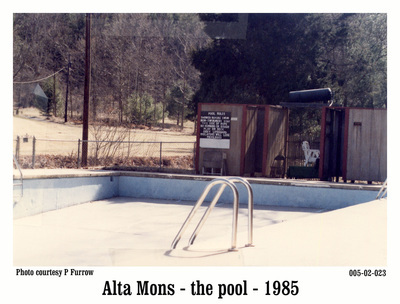 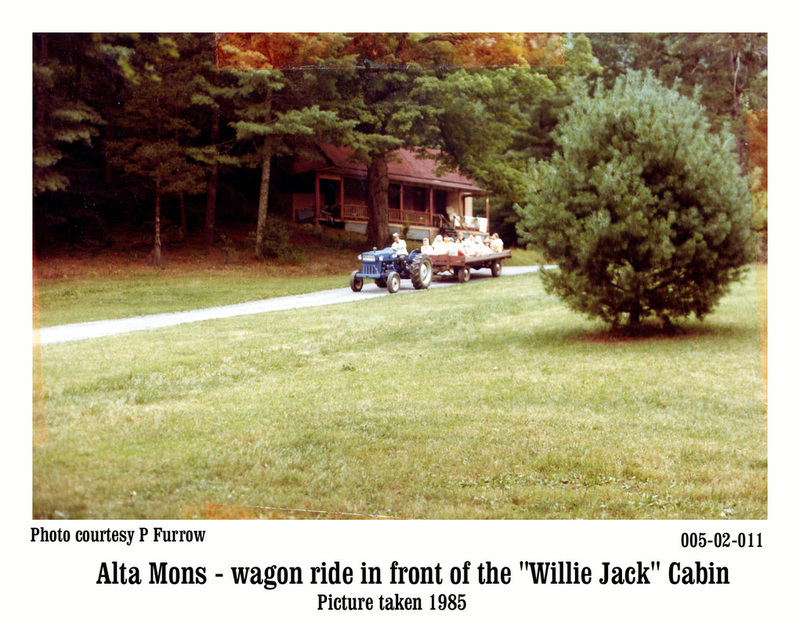 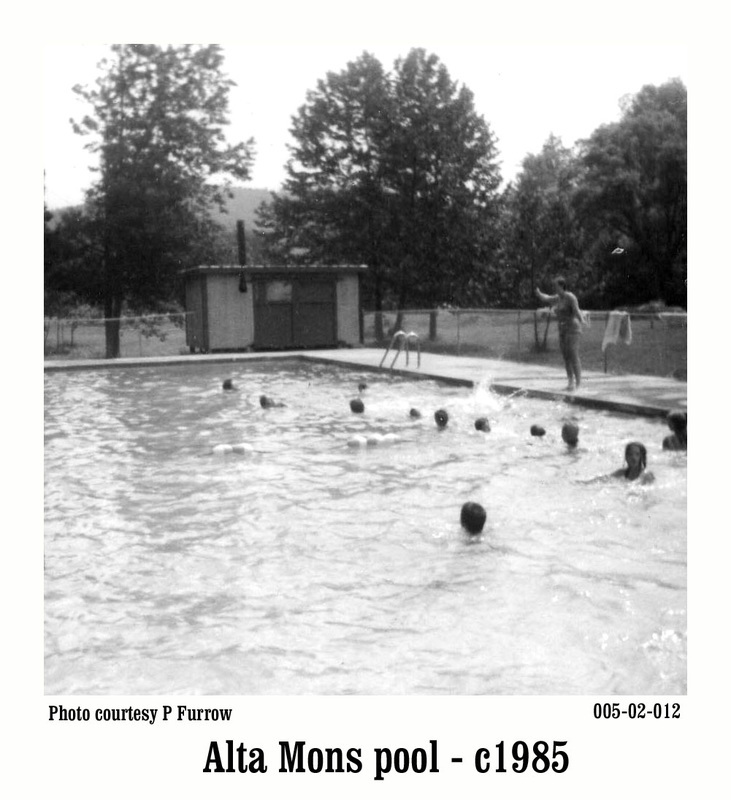 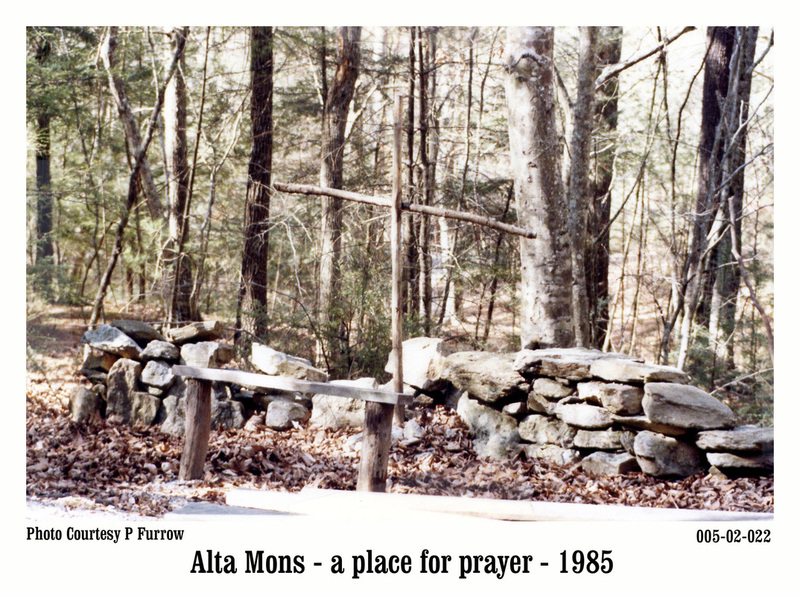 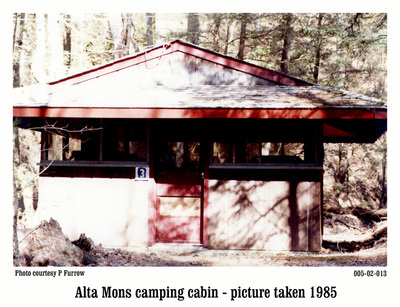 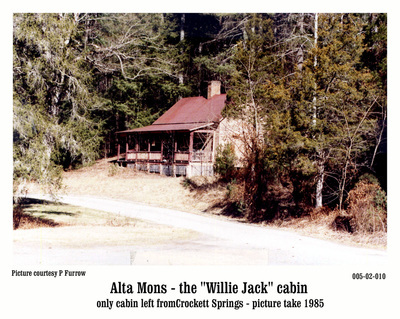 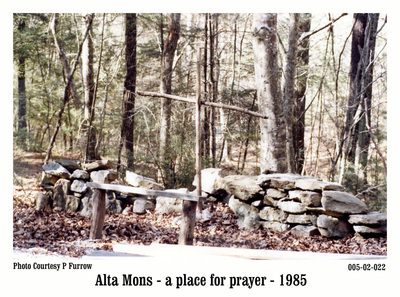 Alta Mons is located on 850 acres and has a heritage of change and tradition like any other family. 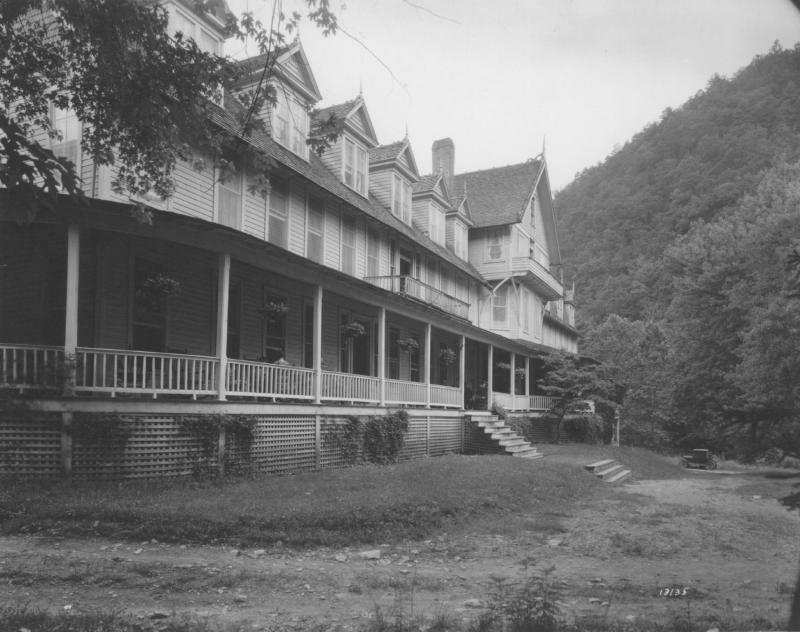 Its location has been used as hunting grounds for Native Americans, rural farming for European settlers, and starting in the Victorian era as a mountain resort and spa for the wealthy wanting to escape the summer heat of the coast. 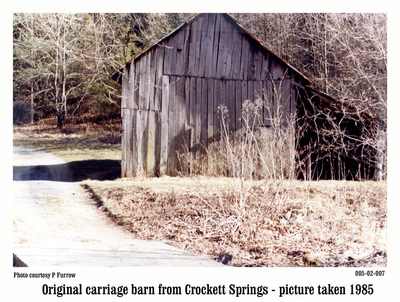 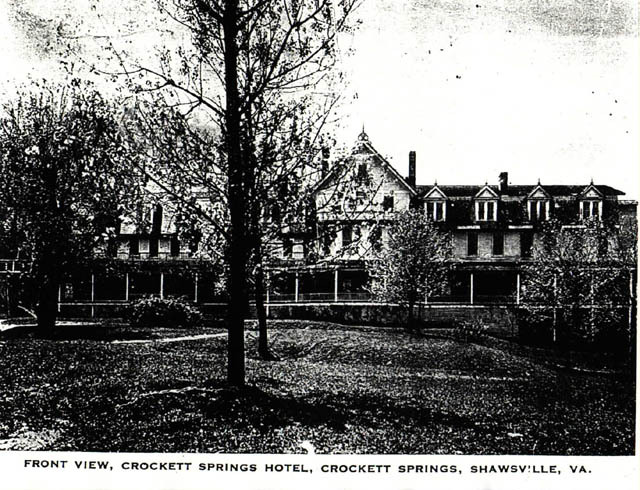 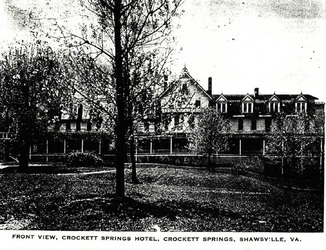 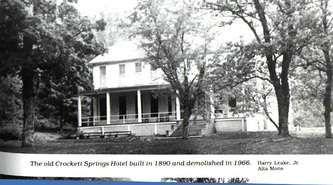 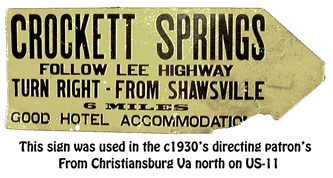 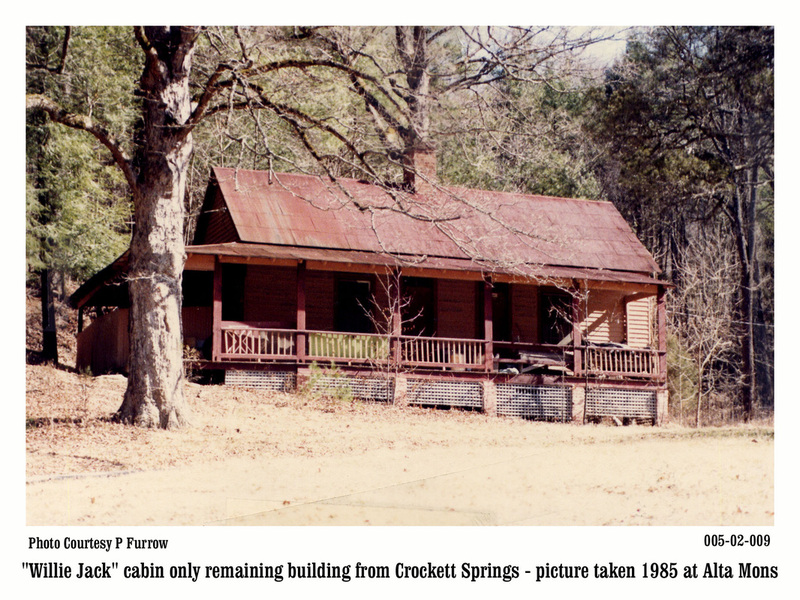 A bottling company purchased 350 acres back in the 1890's from the Crockett family, bottled and shipped, under the label of Crockett Springs Bottling Co., half-gallon containers of spring water around the country and over to Europe. 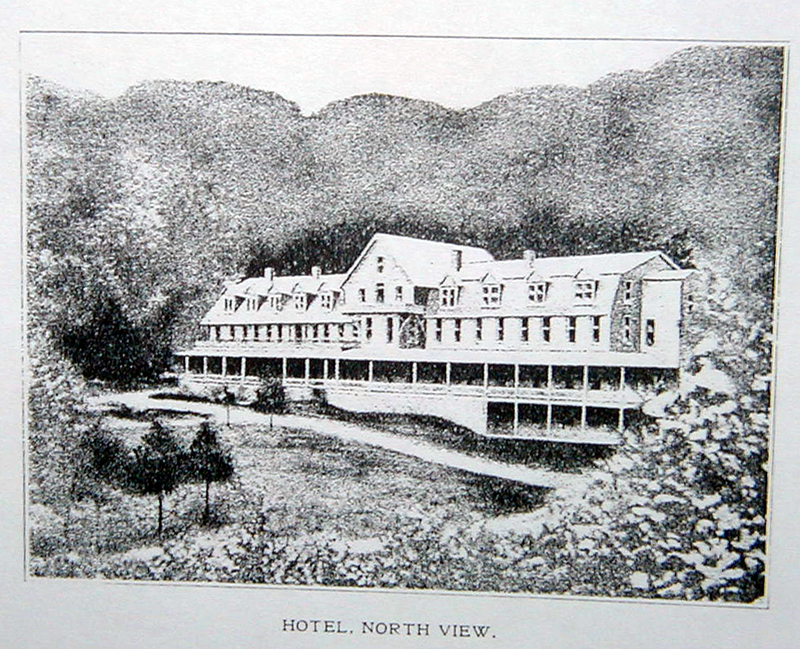 A thriving resort built up around the famous healing waters. 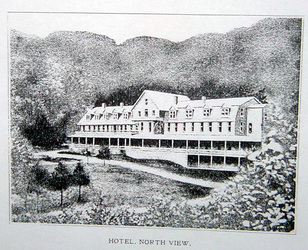 A hotel, accommodating 300 guests, sprung up as families began spending their summer months in the cool mountains away from disease infested and hot crowded cities. The resort fell on hard times during the depression of the 30's. In the 40's the large hotel was stripped down to one-third of its original size. 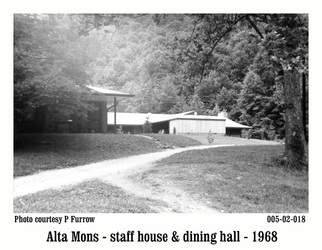 The Roanoke District of the Methodist Church was looking for a site to conduct a district camp. 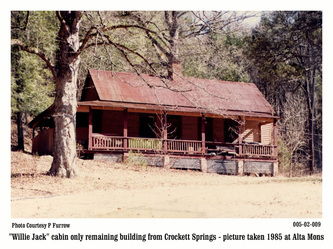 The property was purchased for $25,000 in 1957, then the adjoining 400-acre Rakes farm for $13,500. 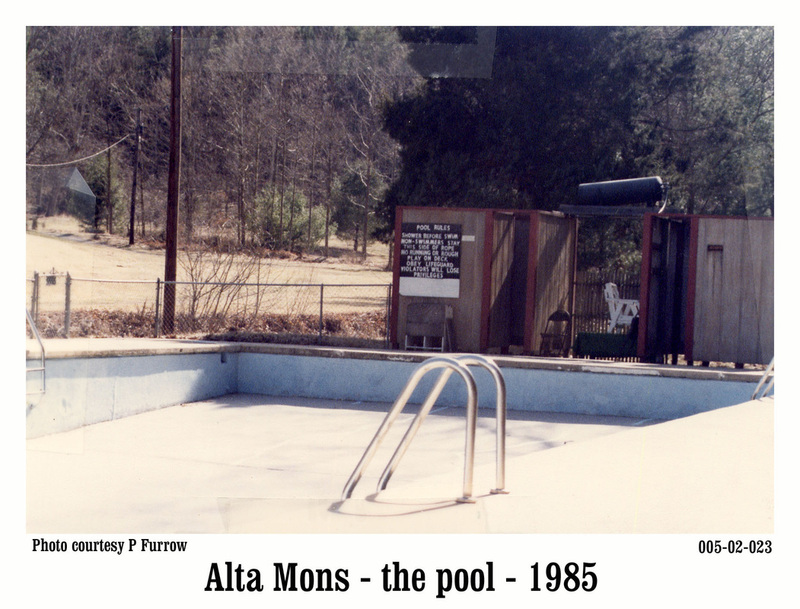 The name Alta Mons was the result of a naming contest and means, loosely interpreted in Latin, "High Mountains." 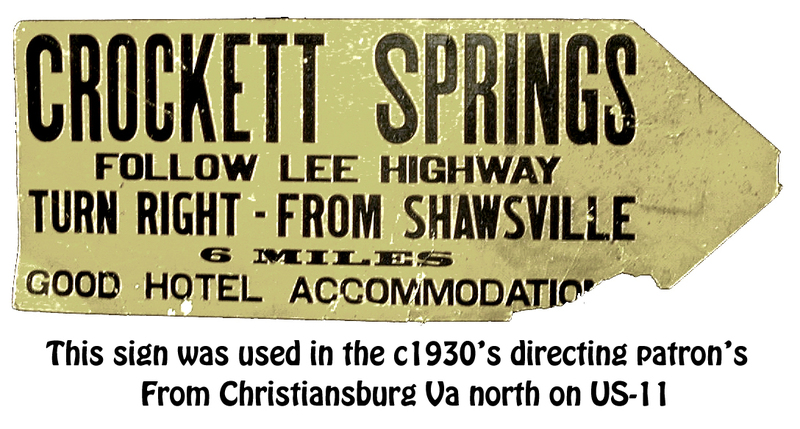 The churches had big visions for the hotel and surrounding property, but found little interest in the 60's for the rundown hotel. The hotel was eventually torn down and an ambitious $100,000 building program was undertaken in 1965. 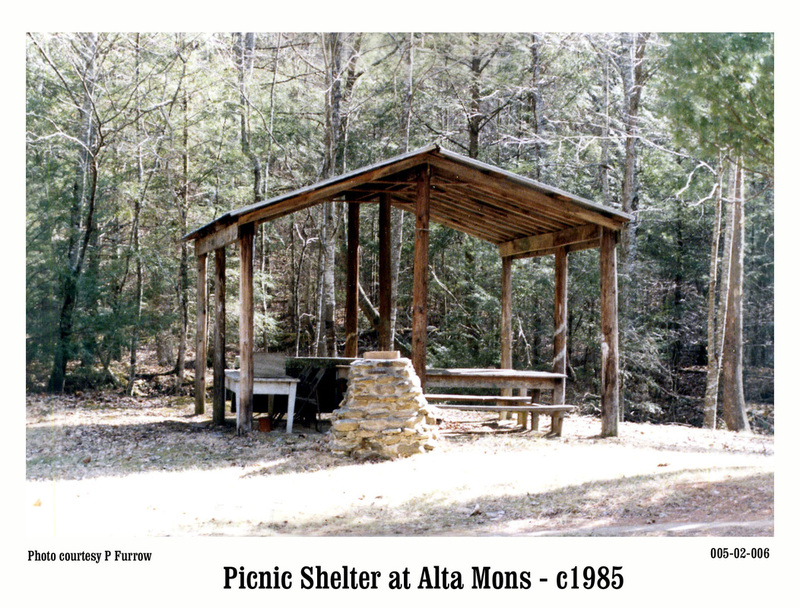 From those trying early years until the present day, the United Methodist church uses volunteers and committed supporters to create a beautiful outdoor sanctuary for persons to spend the day or overnight with their families, children, congregations and community organizations. 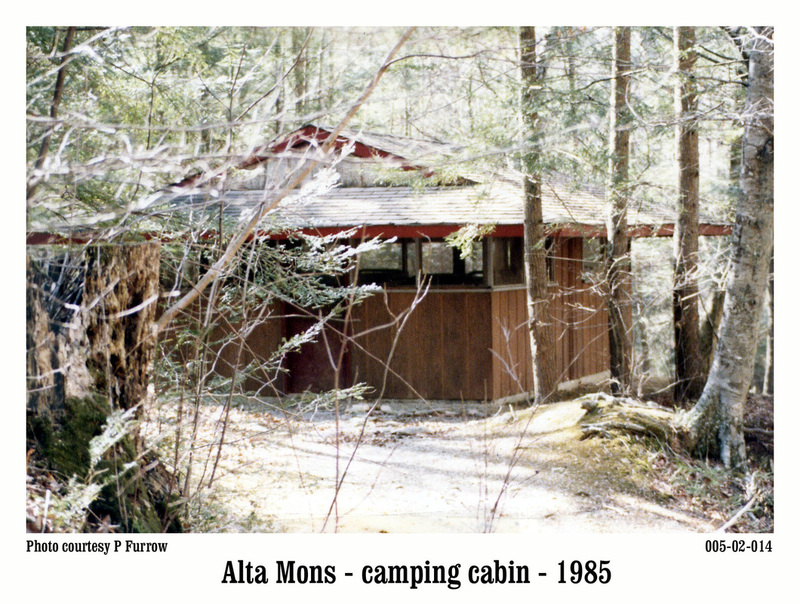 Now, the comfortable winterized facilities and seasonal rustic cabins, tent and RV campsites host thousands of visitors and guests each year as well conduct a summer resident camp for children and youth from surrounding communities and towns. 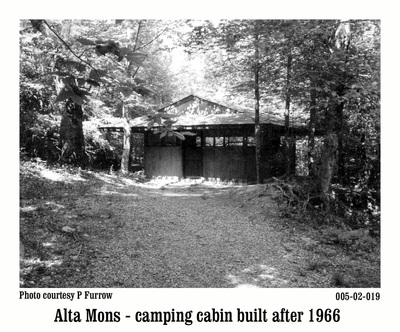 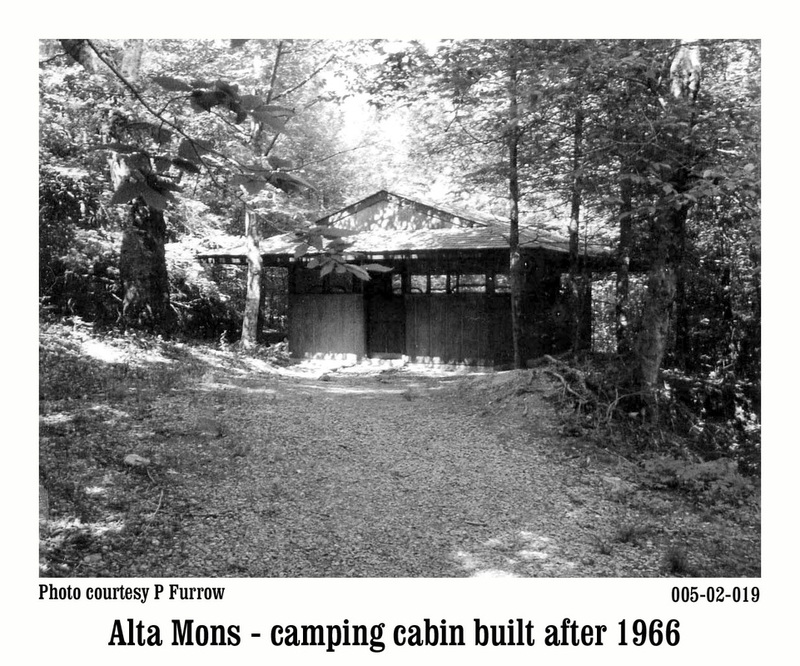 In 2007, as we celebrated our 50th anniversary, Alta Mons finished a three year capital campaign. 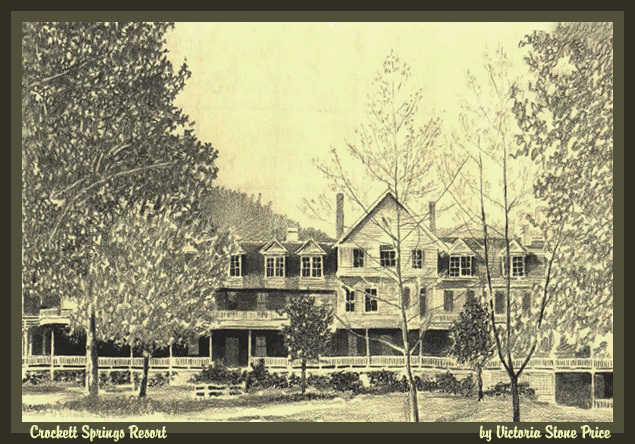 This campaign, among many other improvements, saw a horseback area constructed, a complete renovation of the old retreat house, the forming of a wetland area, improvements to roads, and acquisition of many beautiful acres of land preserving our ridge lines from development. 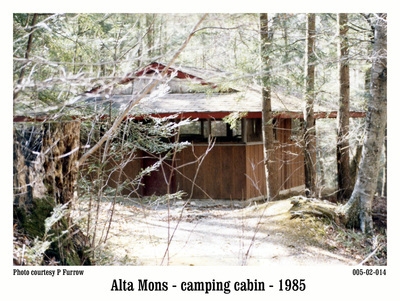 We adopted a defining 3 fold purpose statement in 2003, at the start of the then Capital Campaign. In 2007, as we approached our 50th anniversary, we used the three-fold purpose to form our current Mission Statement. With a restructure of our leadership and recognizing the changing face of Outdoor Ministry, in 2010, we began a year of "Visioning" with our churches and Board of Directors. 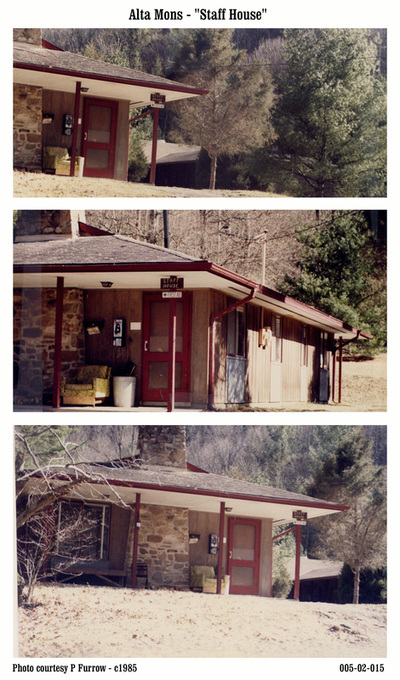 During this process, we looked hard at how we were accomplishing our mission in hospitality, facilities and programming. 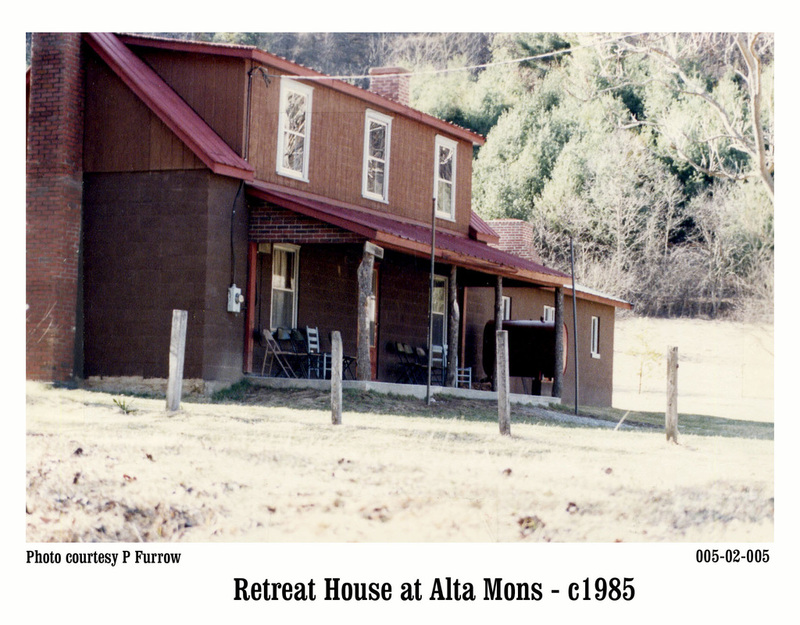 It was through this that we formed our vision statement and set firmly into practice the Seven Core Values of our programming.